Is it just me or are straight bangs popping up all over? How many of you are rocking the straight bangs? When did you make the transition & was it hard to get used to? I am SO tempted to take the plunge & just do it! It’s ok, you can say it. I have a generously sized forehead. I get all the jokes. 5-head. Drive-in movie screen. har. har. har. 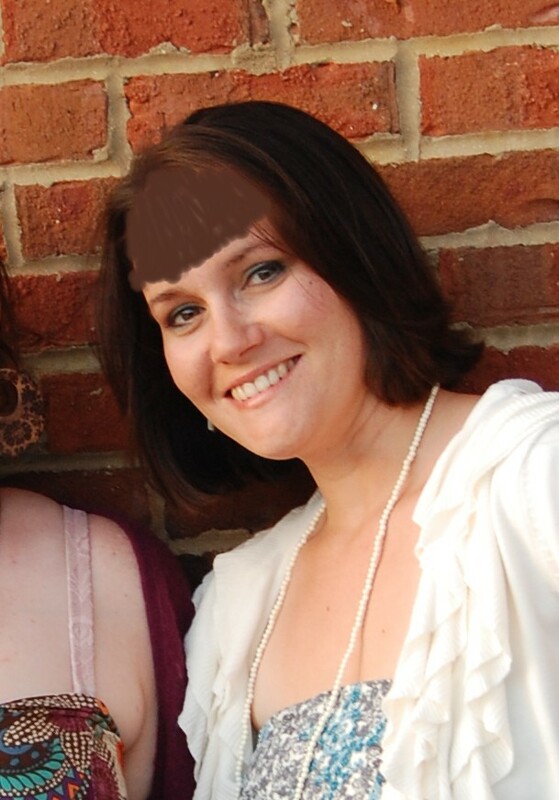 But in theory, the bangs would hide that. Check out this amazing photoshop magic I have pulled off. HAHAHA! Ok so maybe this isn't a good picture to judge from. I really like the look on other girls. Add some Buddy Holly glasses…perfection! this is such a fun (and BOLD!) look. If you were nervous about it, you could always try a pretty dramatic side-swept bang, and go from there. Ok, you have mad PS skillz! LMAO & Just Do It ALREADY! I think you could totally work them! After your bold blonde bombshell thing you were rocking a while back, this should be cake. I can't wait!! If you fancy a change - go with it! I had long hair all my life and last summer decided to cut it short. I love it and can't imagine why I didn't do it before. The good thing about hair is that if you don't like it you can always grow it again. Love this post! (I have a five head as well!) I had bangs until I was a junior in High School! P.S. where did you get your amazing photoshopping skills?